For many home extension projects, there is no special permission required or ‘planning permission.’ Yet there are exceptions, and you certainly want to know what those exceptions are before you get started building. There are in fact many people that do have to get planning permission, so it goes both ways. What are those exceptions so that you know what to do when you are planning a building project? One standard that you need to be aware of is the fact that you are going to have to make sure you don’t take up half of the original land that was available. There also can’t be a building extension that stretches beyond the roof at its highest point. You can see how many of these restrictions might not apply to your own project, but you would want to be sure that you are making the right calculations. What they also tell you is that you would want to be in touch with a knowldgeable contractor that knows all the rules and regulations. There are actually all other kinds of stipulations. They do get quite specific, too. It could be that your planned home extension is just fine, but that you’re going to break a rule or two if you don’t involve a reputable contractor that knows exactly what to do. A lot of the planning permissions have to do with statements in regards to the original house that was built upon the land. Those original plans are going to come into play for sure. Have you already added on to your home already? Maybe someone else has before you purchased the home. It is going to be important to know that as you are seeking planning permissions for a building project. Hopefully, you won’t even have to worry about seeking out planning permissions. You will just be able to carry on with your project and enjoy the new space. When looking at the planning permissions website, I noticed that there is also a temporary restriction in place. The temporary restriction has everything to do with the size of rear extensions. There is a neighbourhood consultation scheme that you might need to know about. Some of the rules you look at are going to be straightforward, but some of them are a little more difficult to discern as mentioned. One that is rather straightforward is that rear extensions to homes can be no taller than four metres. Also, two story extensions have to be at least seven metres away from the boundary of your property in the rear. 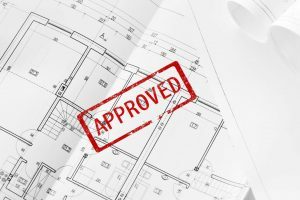 There are quite a few rules and restrictions to consider when it comes to planning permissions. Therefore, you are certainly going to want to make sure that you have everything in place as you get ready to get to your building project. You are really going to enjoy this new space, but you have to get it built first. Some of the rules apply to certain buildings, and that is something else you need to know as well.